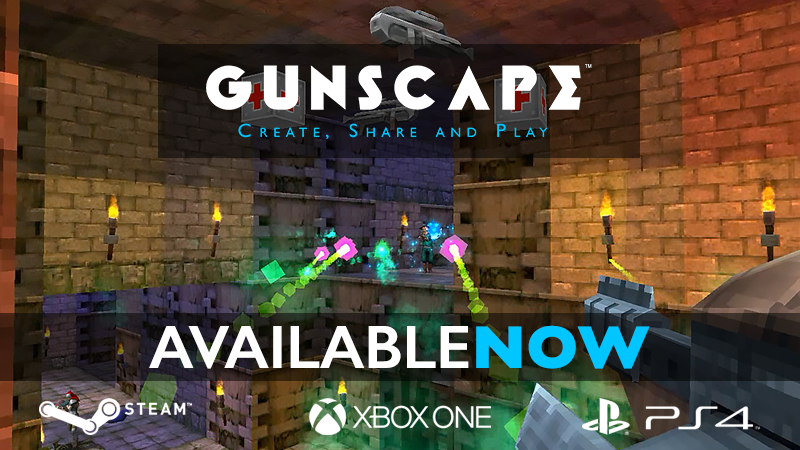 Gunscape is now available on Steam (PC / Mac / Linux), Xbox One and PS4! We’re really happy to see that the game has been well received (head to our Twitter to see some of the reviews! ), and we can’t wait to see and try the maps you guys are creating, and to play with you too! And WiiU users... don’t worry! We’re working on the WiiU version as we speak! Enjoying the game? Found a bug or want us to fix something? Please leave a comment below and let us know, or hit us up on Twitter or Facebook!